This seminar for students will be held on July 21, 2019 as part of the 2019 ASHS Annual Conference. You can select the seminar when you register for the conference. If you have already registered for the conference and would now like to add it, please click here. Participants: The workshop will be aimed for students (undergraduate, graduates) and new professionals (postdocs, faculty with less than 3 years' experience, new commercial employees with less than 3 years' experience). 3:15 - 3:30 Aiming for Tenure? How to get there. Any University, Organization, or Company interested in exhibiting in the Career & Graduate School Fair, being held after the education portion of the seminar, please click here for more information and to register. Curt Rom is a University Professor of Horticulture at the University of Arkansas with specialization in fruit crops and sustainable and organic production systems. He leads the National Strawberry Sustainability Initiative. He has been an ASHS member for 38 years and is a Fellow of the Society, past President, past Treasurer, and past Vice President. He currently is the Associate Dean for International Education in the Graduate School and International Education and serves as the university’s senior international officer. Craig Campbell is a Senior Field R&D Scientist for Valent USA, LLC. He develops new biorational crop protection products by doing efficacy research with growers and scientists from private companies and major universities. He has always worked as a professional horticulturist for private companies: currently for Valent USA, LLC and previously for Valent BioSciences, LLC, Abbott Laboratories, and Brooks Tropicals fruit company. He is a long-time member of ASHS. Richard J. Campbell, PhD is the Senior Vice President of Global Operations for Ciruli Brothers, LLC. Dr. Campbell leads the global mango initiative for Ciruli Brothers and directs the development of other fruit and vegetable crops for this highly diversified American fruit company. A native of South Florida, he draws on his years of travel experience collecting and researching tropical fruit in Asia, Africa and the Americas to provide the latest information and innovation on horticultural crops. He has authored hundreds of scientific and popular articles on fruit culture, dozens of chapters, three books and is a staff writer for Edible South Florida magazine, lecturer on horticulture at the local and international level and a South Florida gardener and mango farmer. David Kopsell is currently an Assistant Chairperson and Professor of Horticulture at Illinois State University in Normal, IL. Dean Kopsell is Chair and Professor in the Environmental Horticulture Department at the University of Florida. Both David and Dean grew up in a family ornamental nursery and tree spade business in Northern IL. They both received their M.S. and Ph.D. degrees at the University of Georgia. David has held professional positions as the Vegetable Specialist with the University of New Hampshire Cooperative Extension, in basic research as a postdoc, in private industry as a consultant & research specialist with National Onion Labs, Inc., and in academia as a Chairperson of a community college horticulture program and tenure-track positions at the University of Wisconsin-Platteville and Illinois State University. Dean has held faculty positions at the University of New Hampshire and the University of Tennessee. Logan McCollum is a Senior Recruiter for Driscoll’s global R&D group. In this function, he supports Driscoll's global effort to find top talent for industry leading R&D positions. His role encompasses his past experience; agricultural research and technical sales & scientific recruitment and team management, to help sustain Driscoll's leading position in the berry industry. As a global recruiter, he is responsible for sourcing agricultural scientists from various backgrounds including: agronomy, genetics, plant breeding, chemists, pathologists, entomologists, and molecular scientists. Mercy Olmstead, Ph.D. is the Senior Manager of Production Research and Education for the California Strawberry Commission. She provides leadership in the development of research and education programs focused on addressing strawberry fruit production issues, including research to determine best management practices (BMPs) for the California strawberry industry. She works with the Director of Grower Education to develop and deliver BMP training programs to the growers. In her spare time, she loves to hang out by the beach with her kids, kayak, and garden. Brian J. Pearson, Ph.D. is an Assistant Professor of Environmental Horticulture at the University of Florida, Mid-Florida Research and Education Center. Dr. Pearson’s teaching, research and extension program focuses on growth and performance of unique ethnobotanical crops. Research incorporates examination of relationships between plant production environment and plant secondary metabolic compounds for use as edible, beverage, or medicinal applications. Dr. Dennis Ray, University Distinguished Professor, and Professor of Plant Sciences and Natural Resources and the Environment, University of Arizona. 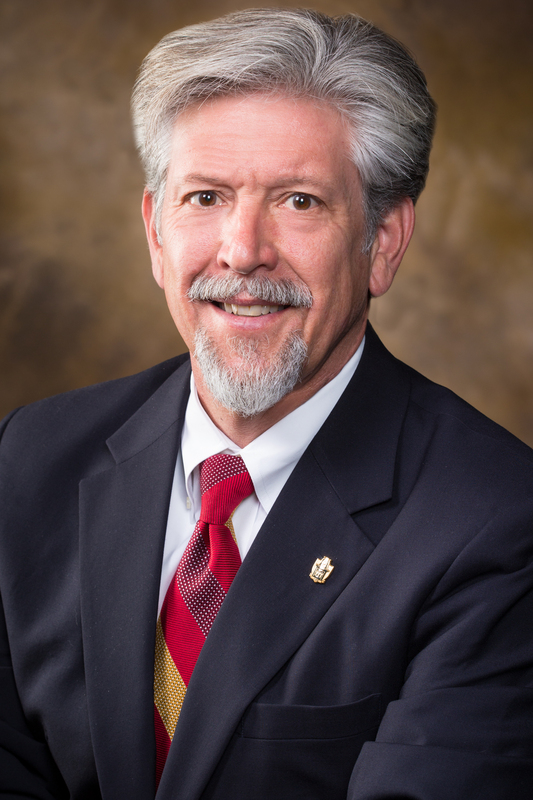 He has also held positions as Faculty Associate to the Vice President for Undergraduate Education, Associate Director of the School of Plant Sciences, and Chair, Interdisciplinary Graduate Committee on Genetics. Dr. Ray has taught genetics and introductory plant sciences at the University of Arizona for over 30 years. His research interests include the genetics of crop plants and the domestication of new crops. His present research emphasizes the development of new crops suitable for cultivation in arid and semiarid environments. Kate earned a Bachelor of Science degree in Plant Biology from the University of New Hampshire. After UNH, she worked as a grower for Cavicchio’s Greenhouse operation, and then returned to graduate school for her PhD at the University of Florida. Kate subsequently became Director of Research and Development for Costa Farms, and currently works as the National Director for Dümmen Orange, a global leader in flower breeding, where she oversees the daily operations of the North American team. In addition, Kate is proud to serve on the Board of Directors for Luxflora, a non-profit organization focused on connecting women in floriculture, and on the Leadership Cabinet for Seed Your Future, an organization focused on promoting horticulture and inspiring people to pursue careers working with plants. Ed Stover works on citrus scion breeding at the USDA/ARS laboratory in Ft. Pierce, Florida. Conventional breeding and transgenic efforts focus primarily on resistance to citrus huanglongbing. Stover got his Ph.D. from the University of Maryland, and has been on the faculty of Cornell and U of Florida. He collaborates extensively with other research teams, is an author on 125 refereed publications and has a total of more than 300 professional publications.